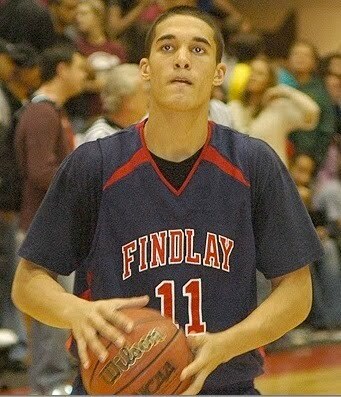 Nick Johnson, one of the most athletic and exciting guards in the country, committed to Arizona late Wednesday night. He was long-thought to be an Arizona lean because of its proximity to his hometown, as well as the attention Wildcats’ coach Sean Miller showed him throughout the summer. Despite those factors, Miller was still caught off-guard when Johnson gave him the news on Wednesday night. Johnson is a guard from Mesa (Ariz.) who attends Findlay Prep (Nev.) and ran with the ultra-talented Oakland Soldiers on the AAU circuit. He chose Arizona over finalists Kansas, Louisville and Arizona State. With Mesa being close to Tucson, one might think that location played a major factor in Johnson’s decision. However, he insists it did not make a difference. He has the ability to be a factor at both ends of the floor, with the athleticism and aggressiveness to get to the basket and create plays for himself and his teammates. Furthermore, Johnson is one of the better defensive guards in the country, capable of being a lockdown defender in the half-court. “I think I can make an immediate impact in my freshman year,” he said. Bear down, Nick! Welcome to Point Guard U!